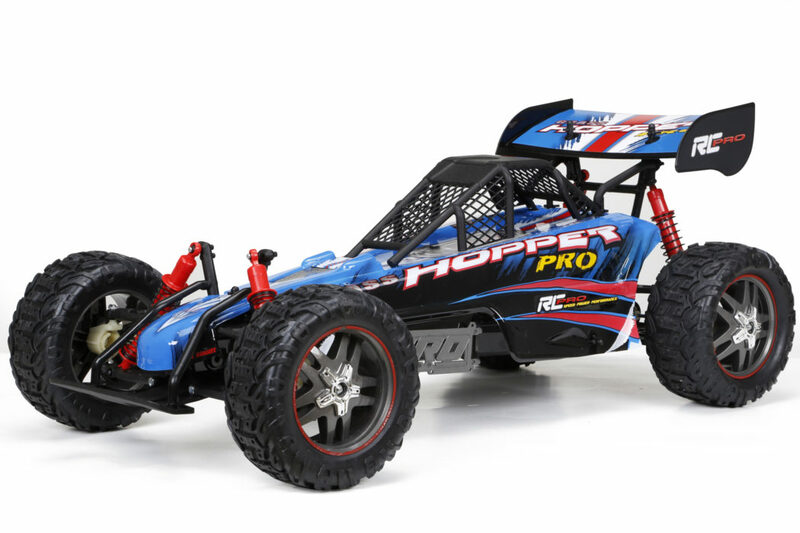 R/C PRO Hopper - Blue | New Bright Industrial Co. 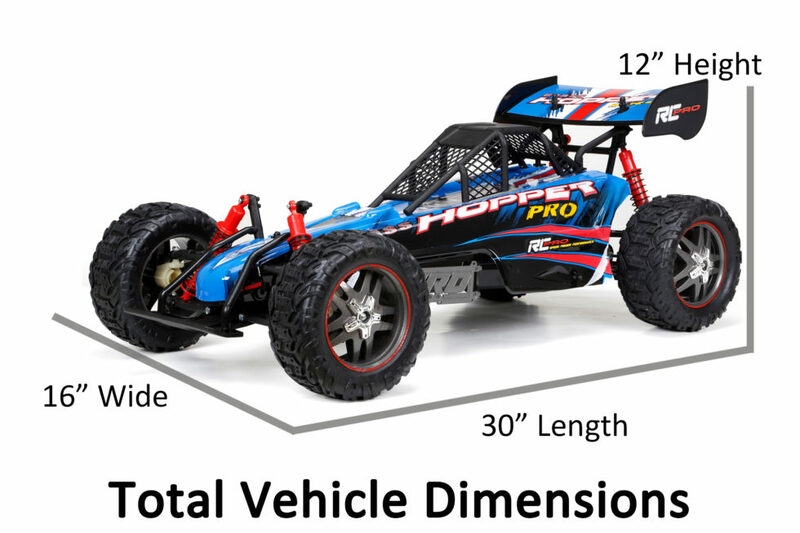 This 34” New Bright R/C Pro Hopper is the ultimate off-road buggy! The lightweight, rugged frame is perfect for obstacles found on any terrain! With 2.4GHz technology, working suspension, and Polycarbonate body, the Hopper is leaps and bounds ahead of the competition. A 12.8 Volt Lithium Ion battery pack and 2-hour charger are included.